Dividend stocks — particularly telecom companies and utilities — flourished during the past couple of years, thanks to the Fed’s low interest rate policies and an economy emerging from the Great Recession. But this quest for safety and high yield had a predictable consequence: Many of these stocks have been extremely overbought. Worries that the Fed would accelerate its so-called “tapering” sparked a selloff in some of the most reliable dividend-paying stocks. As a result, the valuations of these dull darlings are more attractive these days, presenting a good opportunity for income investors. For income investors — particularly those nearing retirement — dividend stocks are a valuable part of their portfolios. After all, they boast the double benefit not only of providing reliable payments that can be reinvested, but many top dividend stocks — particularly utilities — are mature and stable, they and offer a hedge of protection in times of volatility. What Does It Take To Raise An Entrepreneur? A group of entrepreneurs talk about what they learned in the trenches that they never could have learned in a classroom. The panelists also share the courses that were most helpful to them as entrepreneurs, the courses that they wished they had taken and the topics that business schools should be teaching to aspiring entrepreneurs. 9-year old Winnie Keller, Founder of It's My Party! inc.
His inspiring book is a Must read for EVERY child or adult with a dream. Nick D'Aloisio shares the story around his app. "Summly," which was recently purchased by Yahoo for $30 million. 17-year old millionaire entrepreneur Ashley Qualls runs a successful web based business. 14-year old Damon Williams turned his passion for athletic shoes into an stock portfolio worth over $50,000. Dr. Dennis Kimbro speaks about the habits of black millionaires. This motivational video is a summary of the inspirations and thoughts of very successful people from various backgrounds. 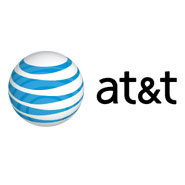 AT&T (T) stock is down 9% since November 4. T stock has a lofty, yet reliable, current dividend yield of 5.6% and is a mainstay on the list of top dividend stocks. In the wake of the stock’s recent retreat, T is trading at just 12 times forward earnings. “net neutrality” battle, T stock is positioning itself to profit. Last month, the company announced a “sponsored data” plan, whereby businesses can pay for their customers’ access of broadband content like mobile video. Also, T is teaming up with IBM (IBM) on the “Internet of Things” — combining their security, cloud capabilities and analytics platforms to jump-start Smart City initiatives. These new market opportunities have the potential to actually boost the performance of T stock over the next couple of years, too. Chevron (CVX) is down 9% since Dec. 27. CVX stock has a current dividend yield of 3.5% and is trading at a fairly cheap 10 times forward earnings. CVX stock has gained ground this week despite an explosion at a fracking well in Pennsylvania on Tuesday — and the questionable PR tactic of offering free pizza to residents living near the site. Still, fracking provides a significant opportunity for CVX, particularly when artificially low natural gas prices begin to rise. Although Chevron’s earnings over the past couple of years have been lackluster, those struggled have been more than priced in and the stock is poised to move. That puts CVX stock on the list of dividend stocks to buy now. 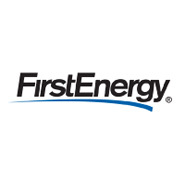 FirstEnergy (FE) is down 16% since Nov. 8. The stock has a current dividend yield of 4.5% and a forward P/E of less than 12, below most other dividend stocks in the utility sector. On the face of it, FE appears to be a strange choice given the company’s decision last month to cut its annual dividend from $2.20 per share to $1.44. However, much of the savings will be used to upgrade transmission infrastructure — particularly in regulated utilities in Ohio. The company, whose earnings have been blistered by low natural gas prices, has reworked its business model to focus more on boosting profitability in its regulated utility operations. That’s a solid strategy for FE, given the state of the energy market. Also, the bad news has been priced in, providing a potentially attractive entry point for investors. CVR Energy (CVI) stock is down 9% since Jan. 2. CVI stock has a lofty dividend yield of 8%, and its valuation is attractive now with a puny forward P/E of 9.4. CVI shares soared by more than 3% on Thursday after the company reported fourth-quarter and full-year earnings. Although CVI’s fourth-quarter earnings swung from 46 cents per share in 2012 to a 25-cent-per-share loss in the fourth quarter last year, the results were largely attributable to losses in derivatives because of wider than expected crack spreads. The company did post strong performance in both its refining and fertilizer businesses during the fourth quarter. CVI is structured into two Managed Limited Partnerships (MLPs): CVR Refining (CVRR) and the nitrogen fertilizer unit CVR Partners (UAN). CVR Energy owns 71% of CVR Refining and 53% of CVR Partners. This is an interesting play in the energy sector, given UAN’s lower cost of ammonia and urea ammonium nitrate and CVRR’s edge as an MLP refiner. 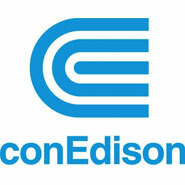 Consolidated Edison (ED) is down 3% since Nov. 6 and has a dividend yield of 4.6%. Although ED’s forward P/E of more than 14 seems a little high, it is in line with other utility-sector dividend stocks. On the down side, ConEd is experiencing flat revenue growth in its regulated utility businesses — in large part because regulators have moved to freeze utility rates. That said, much of the nation has experienced brutal winter weather — and ConEd’s metropolitan New York regulated service area has experience more than its fair share, driving up gas and electric consumption. Although the New York Public Service Commission voted on Thursday to freeze ConEd’s electric and gas rates for two and three years respectively, the rate freeze affects only delivery charges, not the cost of the commodities. That means ConEd will still be able to move ahead with $1 billion in infrastructure upgrades over four years. Despite near-term profit pressures, ED is likely to remain one of the best dividend stocks for investors. A film by two young entrepreneurs to motivate other young people to become entrepreneurs. Interviews with the founders of Vimeo, Soundcloud, Kiip, InDinero, Dropbox, Foodspotting and many others who talk about how they started their company and their lives as an entrepreneur. Laura Tenison created a multimillion dollar global children's apparel brand literally from nothing based on simplistic principles for success. She explains the four "I"s necessary to achieve your goals. Best selling author and motivational speaker Tony Robbins explains the mental discipline necessary for success. A positive attitude towards making the best out of every situation is key to being a winner in life.